We all do it – think we’ve completed all our Christmas shopping after being meticulously organised and following a strict timetable of logistics and strategies to beat the queues… Only to realise we missed out that one ‘Aunty’ that holds no blood relation to you or your family, but would be ever so upset if she went without the token gift this Christmas, or the card calling her Aunty when she knows she really isn’t an Aunty, but more like the crazy cat lady that your mum just ‘knows’. The definite ‘go to’ place for these kinds of gifts, for me, is Boots. Boots always has an impressive gift range and they’re the kind of things that say ‘yes I thought about you last minute but damn I still care enough for you to smell good’. 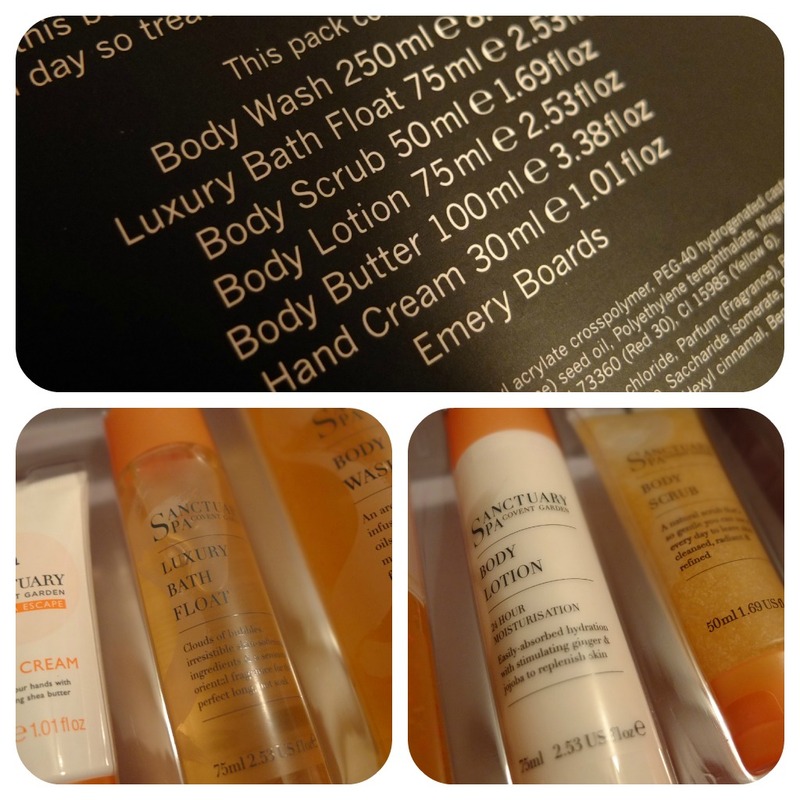 I discovered Sanctuary products when living with my old housemate. She has oodles of the stuff. The smell, in my opinion, is one for the slightly older lady. I’m not talking decrepit old or anything, but Sanctuary is the type of product and scent that 40 year olds just love. I like the smell myself, don’t get me wrong, but it’s a more mature scent without being Lavender or musky, it’s a nice fresh and clean spa type smell to me. That’s probably good actually considering that Sanctuary is initially a spa based in Covent Garden and the products in Boots are ‘spin off’ lines. The Sanctuary gift range this year is pretty impressive I must say, and each set contains lot’s of products with excellent value for money! This set alone comes in at £20 but with Boots and their annual 3 for 2 offer costs a little bit less and it great value. Especially when you play your cards right and make the most of the 3 for 2 goodness. 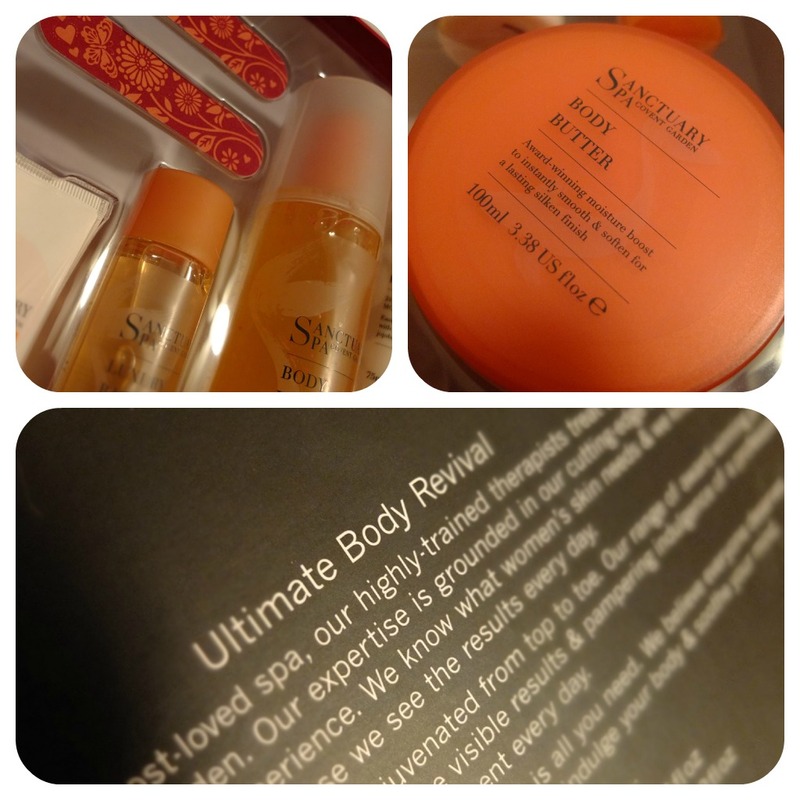 The Ultimate Body Revival set contains a generous amount of product for 20 quid too I must say! It actually pains me a little that this will be a gift for someone as the contents are simply wonderful. They smell luxurious and pampering and the lucky ‘aunty’ that gets these will be very pleased she was forgotten about until the last minute. I think nowadays there’s no excuse for anyone to be buying naff gifts when there are so many goodies to be had at such reasonable prices!